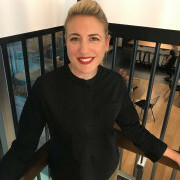 Kobi has 18 years of marketing & ecommerce experience, working with some of the UK’s leading brands, as well as her most recent role as Ecommerce Director at AO.com. Kobi & Lucy founded Dr Fertility in 2017 after recognising their future purpose of combining their complimentary skills and experience to help support people on their fertility journey. Kobi is driven by creating the best customer experience by tracking online behaviour to identify the questions people often have when trying to conceive and developing a simple, jargon free and effortless digital experience.